Biotin, the essence of life and energy is a complex B vitamin that can benefit you inside and out. Biotin is also known as vitamin H, D-Biotin, Coenzyme R or W Factor. The name biotin is derived from the word “biotos,” which is the ancient green work for sustenance and life. Biotin lives up to its name by converting food into energy while ensuring that your liver, nervous system, skin, eyes, and hair remain healthy. While most people get their daily dose of biotin from their diet, there is speculation that getting more biotin can be extra beneficial to your health. 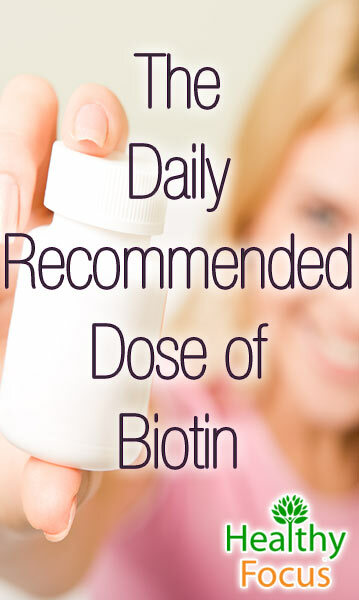 You certainly need to get a small amount of biotin from your diet each day to stay healthy. It is especially important for pregnant women to get sufficient biotin to ensure the health of their fetus. People with intestinal issues that cause malabsorption such as Chron’s disease, leaky gut syndrome and Celiac disease. People who have a prolonged use of antibiotics. People with a prolonged use of anti-seizure medicine. A tingling in your limbs. Biotin is a nutrient that can be found in foods such as eggs, fish, liver, berries, avocados, legumes, and veggies such as mushrooms and cauliflower. If you feel that you’re not getting enough biotin through your diet, you can get your daily allotment through supplements. Biotin is found in B-complex supplements or supplements labeled “Energy Complex” or “Adrenal Support.” These supplements contain the whole gamut of B vitamins, such as vitamin B2 riboflavin, vitamin B3 niacin, vitamin B6, and vitamin B12. *NOTE-Pregnant and Nursing women need a lot more–milligrams – NOT micro-grams! Getting enough biotin provides support vital to our daily bodily functions. It also ensures the health of our hair, skin, and nails. Below is a comprehensive list of all the ways biotin can benefit you and your health. 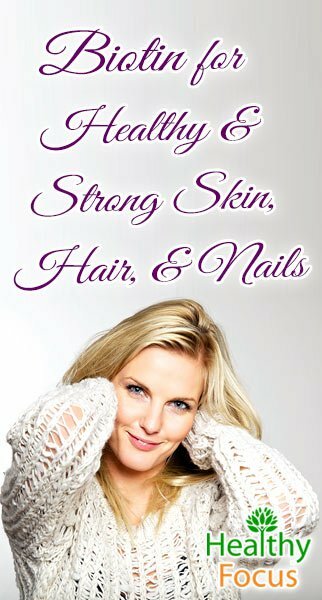 Biotin is essential to maintaining healthy and strong skin, hair, and nails. Those that are deficient in biotin may experience such symptoms as brittle nails, splitting hair that easily breaks, and irritated dry skin. Many commercial companies include biotin in their beauty products, as it is extremely effective. Research has found that consuming high amounts of biotin can strengthen hair and nails that are brittle and weak. Getting enough biotin also works as a preventative measure, protecting your skin from such conditions as fungal infections and acne. Biotin also keeps your skin moisturized and prevents it from cracking. Cancer patients are often advised to take Biotin to help strengthen hair and nails. The typical recommended dose for chemotherapy patients is 2.5 mg (2,500 mcg) a day. So Can Biotin really help Hair Growth? The answer to this one is ‘probably’ or ‘maybe’. I know it is not much of an answer, but there is as yet no definitive scientific evidence that it can help your hair to grow faster and more fully. Some doctors say there is absolutely no scientific support for the claim. However, long-term use of biotin may help to stimulate the growth of healthier hair, and many users are pleased with its results. According to some experts using biotin for around 6 months strengthens the hair follicles which leads to many benefits including healthier, stronger and fuller looking hair. Your hair becomes less brittle meaning it is less likely to break and should both look more attractive and be able to grow longer. Proponents also say that because of its effects on the follicles and roots, biotin can improve the color of your hair which as a graying middle-aged man gets my attention. If you have used biotin for your hair, please let us know what effect it had on you. My wife has used it for mild hair loss and it did help her. Biotin is particularly beneficial when it comes to metabolizing and using sugars from food, helping to stave off the onset of type 2 diabetes. People that don’t get their daily recommended dose of biotin may experience such symptoms as weight gain, digestive issues, fatigue, low energy, loss of appetite, mood swings, and possibly the development of diabetes. As mentioned above, biotin helps the regulate blood sugar, but that’s not all– it also helps lower the blood pressure of those suffering from diabetes. Those who have trouble maintaining their glucose levels may especially benefit from this. Biotin is effective in balancing blood sugar because it stimulates the production of insulin, a hormone necessary for balancing and maintain glucose levels. Ensuring insulin response helps keep blood sugar levels in check, possibly preventing the development of pre-diabetes and type 2 diabetes. Maintaining blood sugar levels also helps prevent metabolic syndrome and even weight gain. Those already suffering from diabetes may find that by consuming biotin, they are less likely to experience such unpleasant symptoms as nerve pain. 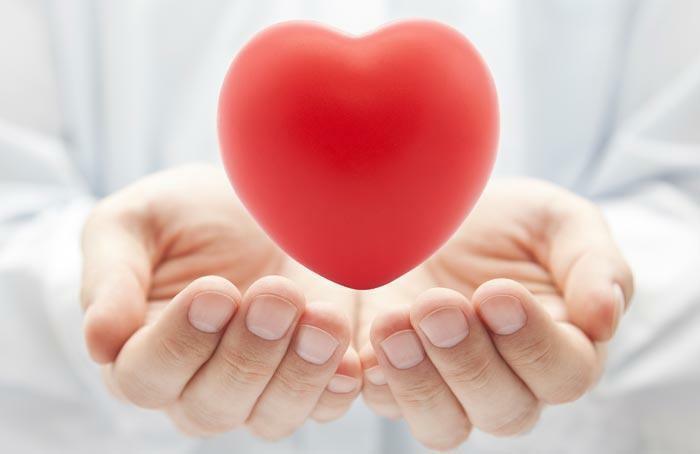 Getting enough biotin is great for protecting your heart against such ailments as inflammation, heart attacks, stroke, and atherosclerosis– the common causes of heart disease. Biotin is effective because it increases good cholesterol while lowering the levels of bad cholesterol. Getting enough biotin is especially important to those suffering from diabetes, as those patients are more likely to develop heart disease. The nervous system relies on biotin because it plays an important role in stimulating neurotransmitter activity and delivering nerve signals. B vitamins work together to improve memory and prevent the development of dementia or Alzheimer’s disease. Biotin supplements combine the whole spectrum of b vitamins to protect against adrenal fatigue and to stimulate regular thyroid activity. These two areas of your body are extremely important because they are responsible for many functions throughout your body, such as energy, mood, pain signals, sleep, and hunger. Those deficient in b vitamins may experience a disruption in the above areas and may experience such unpleasant side effects as weight gain, issues with sleeping, fatigue, and weight loss or gain. Biotin also effects the body on a muscular level, aiding in the protection and development of muscles and tissues. Those experiencing a muscle injury can help repair and rebuild their muscles with the help of a Biotin supplement. Biotin restores the integrity of muscles by improving the strength and stimulating growth. Biotin prevents achy joints and stiff and sore muscles by reducing inflammation. When one does not get enough B vitamins, serious consequences may result. For example, fetuses and infants that don’t get enough B vitamins may not develop properly or may experience stunted growth. For this reason, pregnant women are always instructed to get enough biotin and other B vitamins during pregnancy. A very recent study published in February of 2016 suggests that high doses of Biotin may help with the reversing or stabilization of progressive multiple sclerosis. While this was a small scale study of only 23 patients it did report positive results. (2) The study also examined the safety and found that it is rapidly absorbed and excess is excreted via urine. Despite sometimes being marketed as a weight loss supplement, the probable answer here is ‘no’. It certainly should not be viewed as a weight loss drug and if you are using it for that purpose only then you are likely to be disappointed. There is certainly no scientific basis for the claim that biotin will stimulate weight loss. There is, however, some logic behind these claims. Biotin helps to break down carbohydrates so they can be used more efficiently by the body as energy. Your body’s metabolic rate is therefore elevated meaning the food is consumed and absorbed at a faster rate. However, the impact of biotin supplementation alone is likely to be negligible and how much weight you manage to lose in the long run will depend very much on a number of other factors such as your overall health, your diet and whether you are getting sufficient exercise. On the other hand, claims that can be easily found on the internet that biotin caused some users to gain weight do not have any real merit. It is highly unlikely that vitamin supplementation will cause weight gain. Weight gain is largely down to calorific intake and lack of output. In terms of toxicity, there is currently no known threat of consuming too much biotin. However, one must take into consideration that taking a high dose of one type of vitamin may impact the dosing of other vitamins. To prevent complications, always take the recommended dose of each vitamin or speak with your physician to get precise dosing instructions. Certain medications may interact with taking a biotin or B vitamin supplement, so always take them under the care and supervision of a physician. Skin medications such as Accutane may actually decrease the body’s ability to absorb and use vitamin B7. Other factors known to decrease the body’s level of biotin are certain digestive disorders, taking certain anti-seizure medications, and taking oral antibiotics. If this is the case, speak with your physician about how you can incorporate appropriate and safe amounts of biotin into your daily diet. NOW labs makes a quality Biotin Supplement at a good dose. More is not always better–5000 mcg is more than enough–many others hype 10,000 mcg but it’s doubtful you need that much and too much can negatively affect other vitamin absorption.